The 2016 Medicare Trustees Report says that Medicare is expected to go bankrupt in 12 years. Projected costs are forecast to exceed income, depleting the Medicare trust fund by 2028. These projections are based on current law. Adding postal retirees will drain the Medicare trust fund quicker. 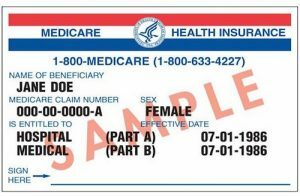 This means future Medicare beneficiaries are facing hefty hikes in Part B premiums, the annual deductible and cost-sharing amounts. Does it make sense to force postal retirees into a bankrupt Medicare system as proposed in the latest postal reform bill — APWU: House Committee Releases Draft Postal Bill? This entry was posted in General Union Business, Postal Reform and Politics, Retiree Business, User Submitted and tagged 2016 Medicare Trustees Report, APWU retirees, Medicare, Medicare Part B, postal reform legislation, Postal Retirees. Bookmark the permalink. Current candidate for APWU National President. I absolutely agree. Any legislation coming out of this committee is not in the best interests of members of the APWU. I watched the video of the hearings earlier in the month twice. Terrible stuff. Flat out terrible stuff. Read the 181 page initial draft then the final draft. One of the officers of the Duluth MN APWU local contacted me to speak to Rep. (D) Rick Nolan’s office as they had reached out to him and our national didn’t have a policy statement at that time. One of the people I spoke with before calling the Rep. Nolan’s office was Robert Furbush. Let me tell you Robert is knowledge on healthcare is formidable to say the least. He is an expert. I agree with you Don, retirees should not be forced into Medicare Part B because of a number reasons. First and foremost is the the fact that doing so would place an unnecessary financial burden on the retiree who will be on a set income. And to make them obtain Part B on the condition of being part the FEHBP is undue punishment on them for benefits that they have earned over their postal career. We must fight this postal reform bill with all our efforts because it only serves to benefit the postal service and not the employees.